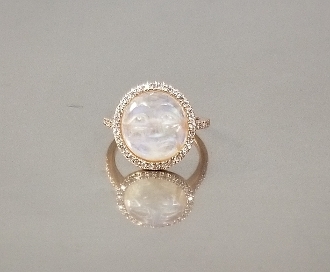 This carved rainbow moonstone moon face ring is set in solid 14 karat rose gold with diamonds around. Total diamond weight is 0.30ct. Rainbow moonstone weight is 4.49ct.